A private tour with our Museum educators is an enjoyable way to see the exhibitions with friends and gain new perspectives with your work team. We can tailor tours to suit your requirements. You can also book a Museum guided tour with introductions to all the exhibitions. Tours last approximately 45 minutes. Maximum group size 30. Bookings need to be made at least 8 working days in advance. 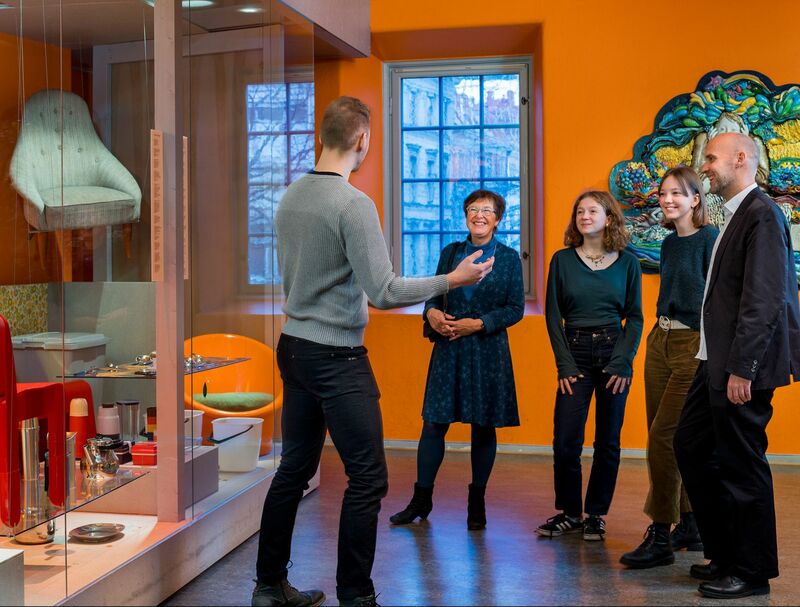 To book a private tour, please contact bokningar.rohsska@kultur.goteborg.se, or call us during our telephone hours, Tuesdays 9-10 am, or Thursdays 1-2 pm, on +46 (0)31 368 31 59. The fastest way to book is by e-mail. Group prices, excluding applicable admission fees. Private tours are VAT free. An additional SEK 500 for tours in English.